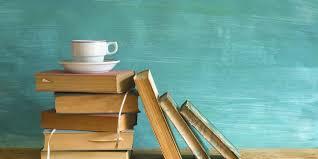 Open Book Club meets the 4th Wednesday of every month at 6:30 pm (possible exception in November/December). Books are provided by the library, hence it is necessary for the librarian to typically select books that are readily available as sets from local libraries. Attendees are welcome to bring a beverage of choice, including undistilled adult beverages. Ask, and the librarian will also make coffee. Our library was established before 1900 in Dayton, Iowa, when a few women each purchased some books to exchange. As the collection grew, the books were housed in the back of the local bank with access provided only to local schoolchildren. Later, a women’s club was organized, and they established the library in 1940 at which time it was moved to the high school. The women’s club sponsored the library until 1945, after which it became tax-supported in order to maintain a free public library for the town. Due to overcrowding, the library relocated to a former bank building where it remained until the current building was erected in 1966. This new building included the post office and the city council chambers. In 1993 the council chambers were relocated, allowing the library to expand for a total of 1406 square feet. The Dayton Public Library is accredited by the State Library of Iowa. It is the library’s mission to provide citizens with equal access to information and ideas in order to lead an enriched life through lifelong learning. The Board of Trustees meets the 3rd Thursday of the month at 5 pm at the library, except December.